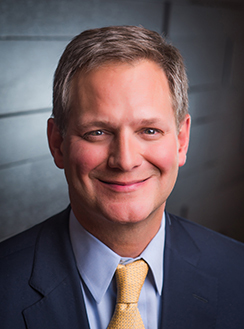 Jeffrey N. Theiler is our Executive Vice President and Chief Financial Officer. Mr. Theiler became an executive officer in July 2014. Prior to joining the Company, from 2010 to 2014, Mr. Theiler served as a Senior Equity Research Analyst with Green Street Advisors. From 2003 to 2008, Mr. Theiler worked as a Vice President and Associate in the real estate investment banking divisions of Banc of America Securities and Lehman Brothers. Mr. Theiler received an M.B.A. in Corporate Finance from the University of North Carolina at Chapel Hill’s Kenan-Flagler Business School, an M.S.P.H. in Environmental Science from Tulane University and a B.S. in Biology from Vanderbilt University.